(Lanka e News -20.Nov.2018, 8.00PM) Just 9 days prior to the presentation of the 2019 budget, the Sirisena-Rajapaksa “coup” ousting the legitimate and lawful Prime Minister and cabinet has thrown the country and citizens into an unprecedented crisis. The Speaker having gone through all legal procedures in parliament has also declared that as per Article 48(2) of the constitution, the purported Prime Minister and his cabinet are illegal. As per Article 148 of the constitution, “Parliament shall have full control over public finance.” In the absence of a legitimate government, a grave situation has now arisen as there is no legal way to meet public expenditure and obligations of the state from 2019. The constitution does not provide for any alternative arrangements for public finance, even with the intervention of the executive envisaged under the limited circumstances of article 150(3) under which the President can only allocate finances for the first 3 months of a new parliament. Thus, under the current circumstances, from January 1st 2019 until a new parliament is convened, the spending power of the state ceases to exist. As the Finance Minister, I have made allocations to ensure funding until December 31st 2018, however from January 1st 2019, the country will fall into a crisis. A legitimate government with an adequate majority in parliament would have had the opportunity to present at least a vote on account which would have covered at least the first 3 months of the new year enabling payment of pensions, salaries, samurdhi payments, and settlement of debts. It is still not too late to reestablish the government that commands the clear majority in parliament to present a budget/vote on account to authorize expenditure from the consolidated fund from 2019. This illegal government has no majority and are pirating the government benches through force and violence, and they cannot muster a majority to even pass a vote on account, they are forcibly preventing the lawful government from taking the critical steps to provide funding for 2019. In any event as per Article 150 (2) of the constitution, only a legitimate finance minister can sign a warrant to release funding. As per the ruling of the Speaker on 16th November, as per article 48(2) of the constitution, the purported government, its finance minister, and cabinet stands dissolved. As a result of the actions of the Sirisena-Rajapaksa coup, all payments of government from 1st January 2019 are illegal and cannot be affected by public servants. Some of the critical areas include public sector salaries, pensions, welfare payments including samurdhi, and all debt repayments. Furthermore, as per the ruling by the Speaker under Article 48 (2) as the purported prime minister and cabinet are illegitimate, as per section 52(3) all ministry secretaries cease to exist and any actions taken by them are null and void and illegal. Such actions are serious violations and would be punishable under the Public Property law and other relevant legislation. As a result of these actions, Sri Lanka is on the brink of economic anarchy and chaos as never experienced before. The cavalier and irresponsible actions of the president starting on October 26th based on personal animosities and precipitating a series of illegal acts, places at risk Sri Lanka’s ability to meet its immediate debt obligations. 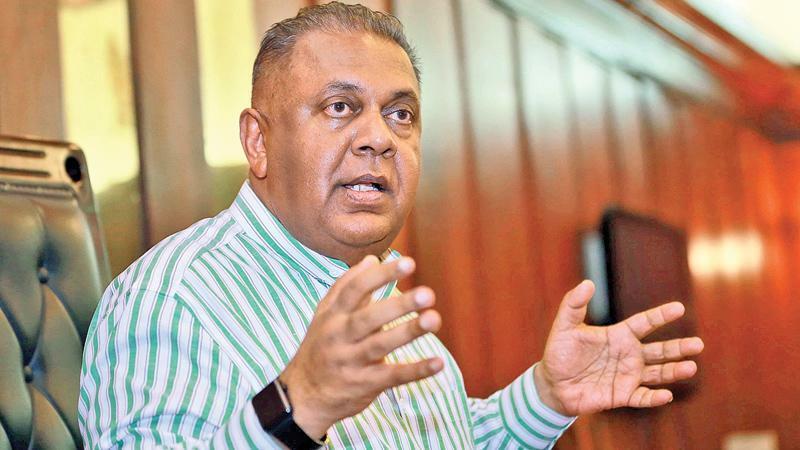 In early January 2019 we have to repay US$ 1 billion of Rajapaksa debt taken in January 2014, the repayment of which is also under the purview of Parliament. Sri Lanka has hitherto never defaulted its debt obligations. The actions of 26th October have irreversibly undermined Sri Lanka’s credibility in global markets - risking our ability to service future debt as well. We are being pushed towards a state of economic collapse as we stumble on to a road of a Greece like situation. The only way to rescue Sri Lanka from this unfortunate and unnecessary crisis is for the President to recognize the Prime Minister and the government that was in place prior to October 26th and continues to command the clear majority in parliament. It is necessary for all like-minded people, regardless of political affiliation, to come forward to save the country from an otherwise impending economic collapse, by supporting efforts to reestablish the supremacy of parliament and the constitution.